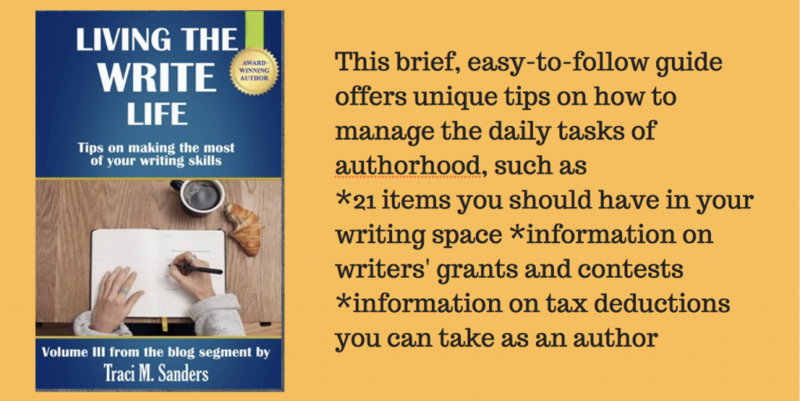 All the Tips Writers will Ever Need! When you look at these new books by bestselling author Traci Sanders, I am sure you are thinking what I’m thinking! These are the resources I’ve been looking for! I can’t wait to read and study these tips! 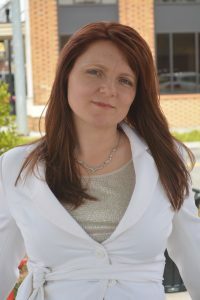 I am so pleased to welcome Traci Sanders as we showcase her newly launched books. 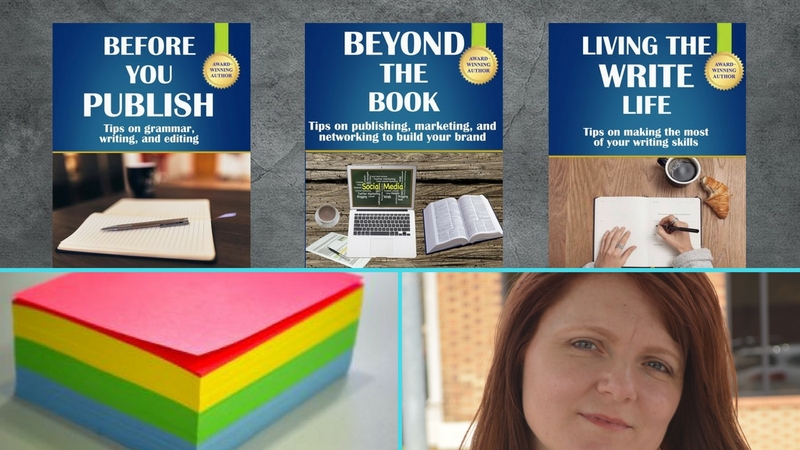 Whether you have always dreamed of writing a book, or if you are passionately writing your opus, or if you are ready to launch and promote your new book…Traci Sanders is here to guide you. Let’s take a look at her books. Then read on because Traci has also provided us with a super Tip to inspire you! By nature, many authors are recluses—avoiding phone conversations, retail lines (we shop online), and “dealing with people,” in general. Aside from our fictional people, of course. We like them. However, this lifestyle kills our book sales. ATMs and drive-thru windows don’t read or buy books! People do. Therefore, we have to get out and find these people. This is another out-of-the-box marketing tip. It’s really easy to do and won’t cost a lot. In fact, if you already have a printer and paper, it will be free, other than the auto fuel it takes you to drive around town. The kicker? It involves going out there … with them. Breathe. It’ll be okay. Keep reading- Traci shares more! Make an Excel spreadsheet and divide it into about twelve cells. These can be a little smaller than a business-card size. Choose a best line (or small paragraph) from one of your books and type it into a cell. Copy and paste this into each subsequent cell. Or, you can choose various lines. Make sure there are no typos and that the font is legible and visually pleasing. It’s best to stick with clean, normal fonts rather than fancy ones. You can also opt to use a card stock rather than flimsy copy paper. Or you can choose a brightly colored paper. Also, put the title of your book from which the excerpt derives, along with your name. You can include your website or Amazon link, if you wish. Print the sheet out and cut out each cell, ending up with small strips of paper. Now, while you are out and about running errands, keep these strips of paper with you. When you stop for lunch, leave one of these papers with the bill when you pay it. When you stop by the bank, throw one in the teller’s bin with your deposit. When you stop by the utility office, leave one with the clerk, if it’s allowed. When you go shop for new shoes or clothes, leave one in a pair of popular shoes. The options are endless. Instead of handing out business cards or teaser cards, and possibly losing a great deal of money, just leave these. They are small enough to fit into the person’s pocket or purse, or be thrown away if the person chooses. But if the writing is compelling enough, you just might get an anonymous sale, or review! You’re a writer, so make it good. Never stop trying new and unique ways to gain exposure for your books. Of course, keep up with the normal paths—Amazon, your website and/or blog, social media sites, etc., but try something that will make a statement and stand apart in the receiver’s mind. I know if I found something like this, I would think, Now that’s pretty creative. And I would check it out. 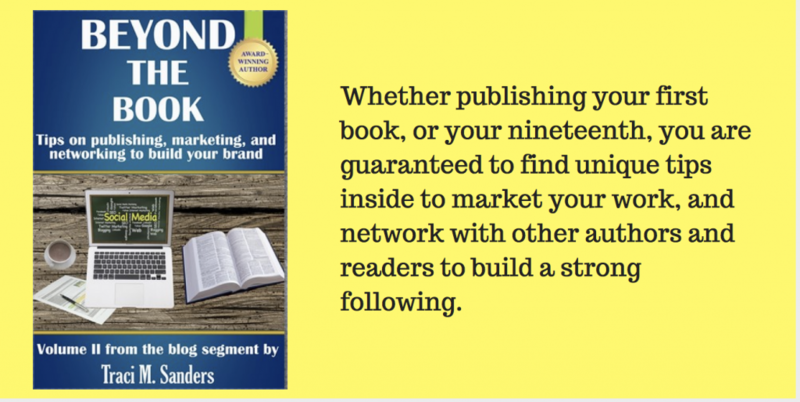 *This tip and many others on promotion can be found in Beyond The Book: Tips on publishing, marketing, and networking to build your brand, available in digital and paperback format. Thank you for this amazing feature, Jena! I LOVE the promo images! 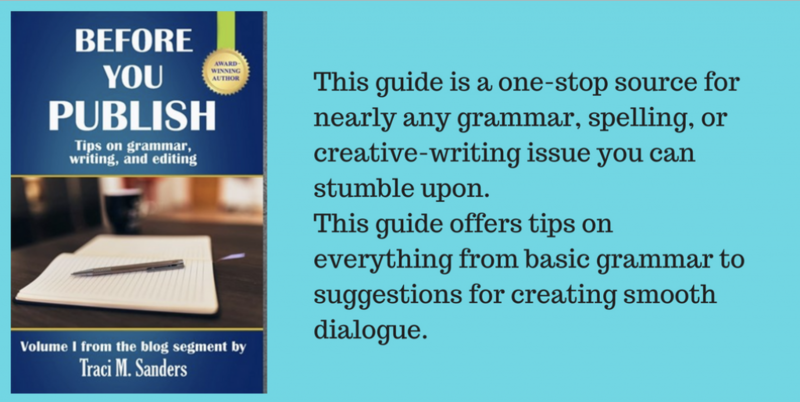 Thanks- I always love to find good writing resources. Best to you! Thank you Bette! I love resources like this- always something to learn!